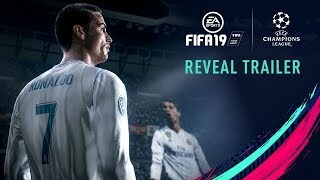 EA Sports has revealed that FIFA 19 will feature new ways to play one of the game's most popular features: Kick-Off mode. 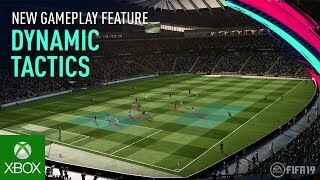 In addition to Classic Kick-Off, which is simply a normal match without added visuals or modified rules, there are five new match types that players can choose from. Each type has a twist on the normal match experience. From group stage matches to the Final, you can set up a custom UEFA Champions League match with specific visuals, rules, and more that provide a realistic, immersive tournament experience. If you’ve ever wanted to play a match in FIFA with different rules—or no rules at all—the House Rules match type offers custom rules, including No Rules, Survival, Long Range, and Headers & Volleys. In Best Of Series, play classic matches in a three- or five-match series to determine an overall winner. Home & Away is a two-legged match type in which you play one home and one away match to determine the overall winner. And finally, you could play your match as one of a handful of real-life Cup Finals, including the Champions League Final, Europa League Final, FA Cup Final, and others. Official kits, badges, match balls, and authentic broadcast overlays (for a select few tournaments) provide an authentic cup final experience. Players can also now track their Kick-Off mode record and stats, including detailed analytics, from all matches played within the mode. 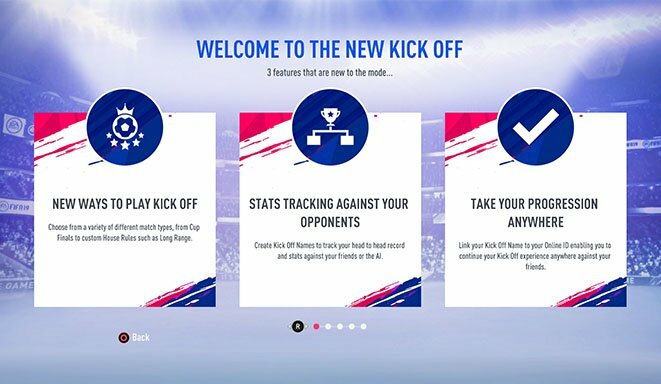 Create your own Kick-Off Name to save your stats to EA servers, so that you can check your progress anywhere you play FIFA 19 on your console of choice (IDs cannot be used across consoles). FIFA 19 is set to launch this September on PC, Xbox One, PS4, and Switch. 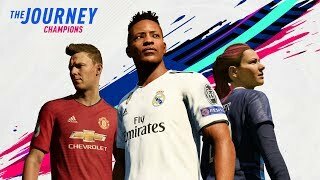 FIFA 19 (PlayStation 4) is ranked #585 out of 1436 total reviewed games. It is ranked #32 out of 146 games reviewed in 2018.